Home » Uni Updates » Do you make these Breakfast mistakes? Do you make these Breakfast mistakes? Everyone knows that Breakfast is the most important meal of the day. It is also said that having breakfast is more important than any other meal since it really helps your body to respond enthusiastically after a lengthy hours of sleep. It gives energy for the whole day. Eating healthy morning food will make your metabolism to work balanced. After having at least light breakfast a day, your mood will definitely be good out of swinging and irritability. Thus, having breakfast is so important to start up a healthy and fresh day. But, how many of people are aware of the types of foods that we can take during morning time? Being in a hurry,you might be gulping down some less calorie food or juices thinking that, they are going to be a healthy food for your body. Have you ever rethought about it? Most of them think that drinking Fruit juices will be a great start to kick off the tiredness. But do you know that canned juice will result in weight gain? Researcher’s says, most of the packed canned juices are packed with sugar and unhealthy ingredients that may cause an automatic weight gain. Instead it is advised to have the real pulpy fruit itself, which directly gives you the original vitamins and minerals and also makes your tummy full till the next meal hour. Wafers that are accompanied by sugary syrup or any other top-ups are definitely not recommended for the breakfast. Instead you can replace this with whole-grain cereals, egg whites and fat-free yogurt that come with different flavors. Being in diet doesn’t mean giving up your favorite coffee. You don’t have to give up your bed coffee unless or until you are not addicted to it. Researcher’s says, it is good to have coffee to boost up your mind and body. Coffee intake is considered good since it cuts down the muscle pain up to 48% and also a good substitute to reduce the intake of alcohol. But when taken as a overdose, it seriously has its own effects. So take in a considerable amount. When you stay at hotels or restaurants you are prompted to have morning breakfast in the form of buffet. This will definitely make you to gain weight since the buffet system has all varieties of food at a single place. It is good to stay in control by just taking boiled eggs, milk, bread toast and cereals. Just look after that, your calorie intake is between 500 to 600 calories in the morning. Avoid carb-rich foods in the morning. Foods like rice, potatoes, drinking powders, low fat crackers, cakes, cookies, etc should be strictly avoided. These carbs are actually treated the way it looks, and most people don’t understand that they get converted to sugar after being digested. This sugar results in gaining weight and thus it must be avoided. Eating your desired foods in a small amount will never shed down your weight. Instead of having small baby size breakfast with unhealthy foods, try to eat tummy full healthy fiber-rich foods. More fiber will keep you hunger-free for a long time. Fiber-rich foods like corn, cauliflower, berries, cereals, oranges make you to keep healthy even you take them in large amounts. Fiber-rich food helps to modulate the immune system and thus helps in decreasing the risks of cardiovascular diseases, diabetes, cancer and obesity. You may think that having bread and jam may help to lose weight. But do you really know the truth? Jams, or any preserves are full of carbs which are gelled and packed in a jar. As said above, carb-rich foods must be avoided since they contain 99% of granulated sugar packed in cans and bottles. As far as possible use less jams with your breads and toast. 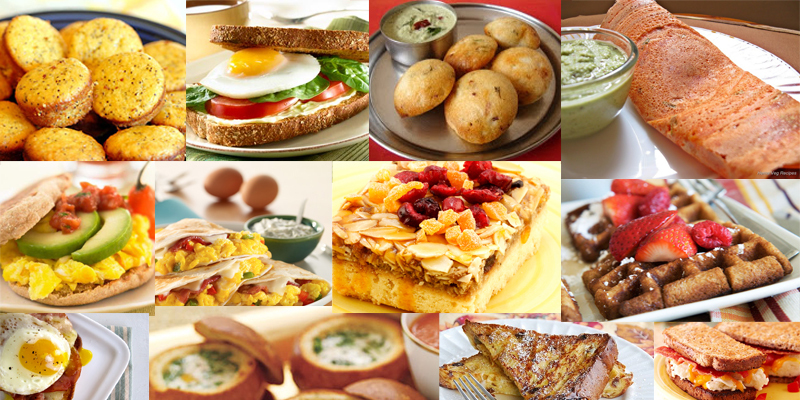 Thus, reading this list you might have got some important information regarding your breakfast diet. Keep these points in your mind. Stay fit and healthy. Join My Newsletter to get all Health Updates within your inbox. Sharing is Caring. Do share this post and make it useful to others. I always avoid canned juice and drink milk or home made juice. You have shared some common mistakes that we mostly make. Welcome to my blog and thanks for your appreciation. Yes we have to avoid canned beverages and canned fruit juices. Home made juices are better to have, there is no problem having this. Glad you like this post. Keep coming. I’m a vegan so I’m somewhat limited. Agreed on your points. Breakfast is the most important meals and I eat as much as I possibly can, low carb low calories, high fiber and protein. Everyone has to agree with this, because these are the common breakfast mistakes done by others. Having high fiber food is very good to our health, but intake of high protein food is sometime lead to stone problem. So, take care of this. Thanks for coming here. Keep coming.